Ford bills the Ranger as a lifestyle vehicle good on sand, dirt or rocks, great for camping or beach trips. DETROIT — Ford Motor Co. expects a total of 1,200 U.S. Ranger sales in January — the revived midsize pickup's first month on sale — and plans to start running overtime shifts at its Michigan Assembly Plant next week to keep up with demand. Kumar Galhotra, Ford's president of North America, on Wednesday said the Ranger is exceeding expectations, and that about 300,000 consumers already have indicated plans to purchase the vehicle. "Based on the orders coming in, and based on the hand-raisers, we think the demand's going to be so strong, that starting in February our assembly plant will be going into massive overtime," Galhotra said at a media briefing. A Ford spokesman declined to offer any additional details about the overtime schedule. 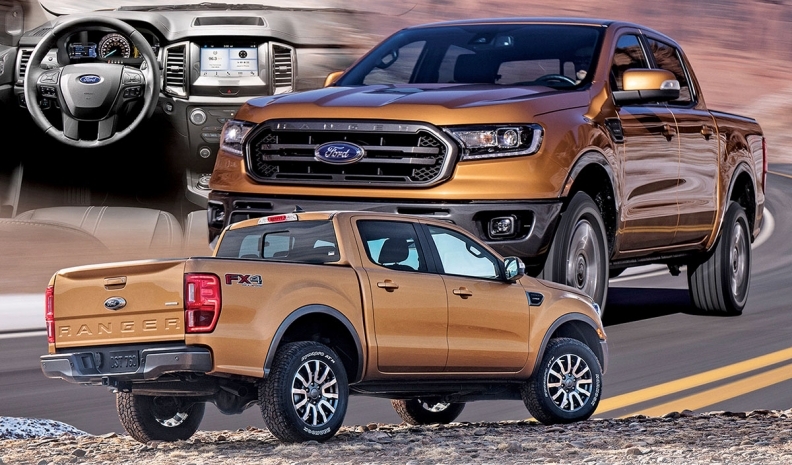 Ford currently builds the Ranger on one shift at the plant, which recently was converted from small-car assembly to body-on-frame truck production. Ford hasn't sold the Ranger in the U.S. since 2011, when it ceded the segment to Toyota, General Motors and other rivals. Executives said the business case for the vehicle's return became clear as the F-150 full-size pickup got larger and more expensive. The previous Ranger regularly was among the segment's top sellers and No. 1 as recently as 2004. Ranger sales routinely totaled more than 300,000 a year in the 1990s before fading in the early 2000s. The new model starts at $25,395, including shipping, and tops out at more than $40,000. It enters an increasingly competitive segment as new entries including the Jeep Gladiator challenge the Toyota Tacoma, Chevrolet Colorado and GMC Canyon.